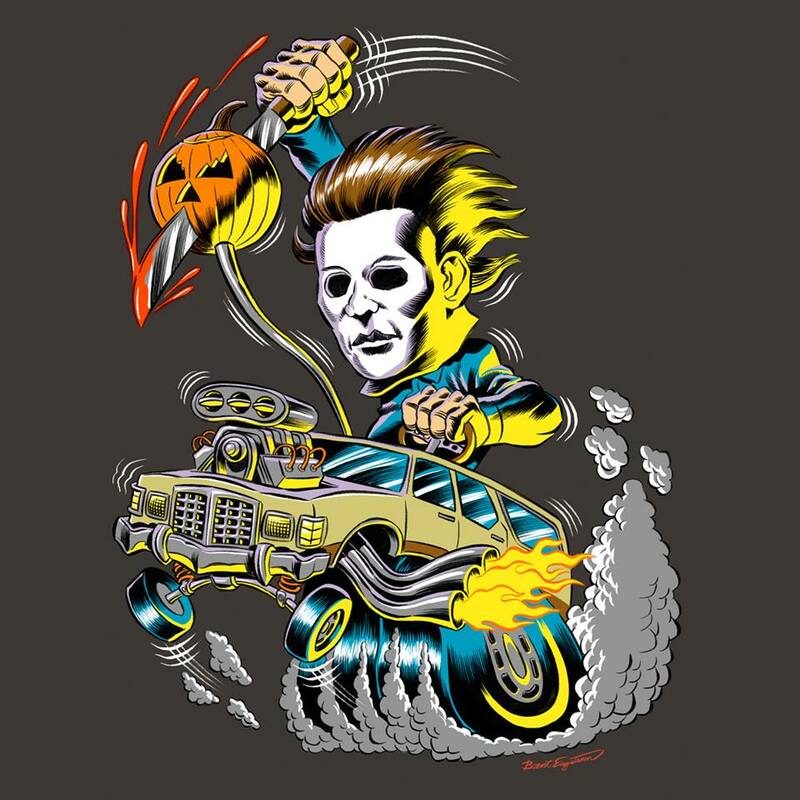 The Halloween-loving apparel masters at Fright-Rags unveiled their new Maniac Motors Series 2 collection of T-shirts today, featuring three brand new designs, including the “Boogeyman Buggy” with Michael Myers behind the wheel. Boogeyman Buggy is now available as part of the new Maniac Motors Series 2 collection, featuring incredibly detailed art by Brent Engstrom. In addition to Michael Myers, additional designs available in this collection include “C3nobite Coup” with Hellraiser‘s Pinhead and Funeral 4Wheeler with Phantasm‘s The Tall Man. You can order yours online here. ← Who Is In Talks To Direct The New ‘Halloween’ Movie?